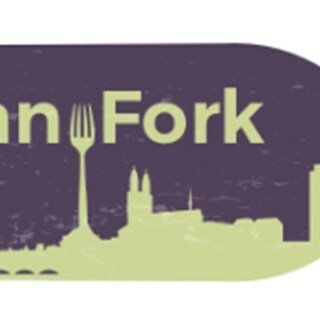 Urban Fork is an inspired, urban craft kitchen with a cozy, energetic vibe located in lively downtown Zürich serving International creative cuisine. A little bit expensive but was okay. Really nice and cozy location, great team and wonderful atmosphere. The breakfast is truly delicious and you won‘t leave the table still hungry :) Highly recommended! Service ging zu lange und burger war zu trocken. Great food and lovely environment. Really happy with our brunch yesterday. The food was very good, and it is such a comfortable venue. Will certainly book again. Fantastic selection of drinks, cocktails and giid balance of sweet, savoury, classic and modern choices for brunch. A great family friendly place. Lovely staff and lovely food! Abwechslungreiche Karte, sehr feiner Fingerfood, faire Preise und (für Züri untypisch) guter Service! War alles tip-top! Super Service und mega feine Burger!! Unbedingt die Deep Fried Truffled Mac‘nCheese Balls probieren!! Super Veggie-Bao and Maccaroni-Cheese-Balls. Yumm. Lovely, relaxed location. Delish food. Really nice restaurant, nice food, very good portions. Really enjoyed it. We had Sunday brunch for the first time at Urban Fork with our 1 and 3 year old daughters. The atmosphere, service and food were amazing. The staff were very friendly with our daughters and were very accommodating towards us as we needed some space to park our stroller. It really makes a difference to have brunch in Zürich and be served just like in other European major cities, with a smile and some conversation! We hope you will get your license to become a “full time” restaurant, we will definitely visit again soon! We had a great time on Sunday. Thanks for looking after us so well. The food was really really good. We will definitely be back! Awesome Fish and Chips! Best in town! The South African waiter and the young lady made it great. Friendly and down right nice people. Food was very good and We’d definitely go back! Der Service war super und das Essen sehr lecker! Wir wurden gut bedient und haben die gute Atmosphäre sehr genossen. Wir würden auf jedenfalls wiedermal dorthin und ich kann es nur weiterempfehlen.